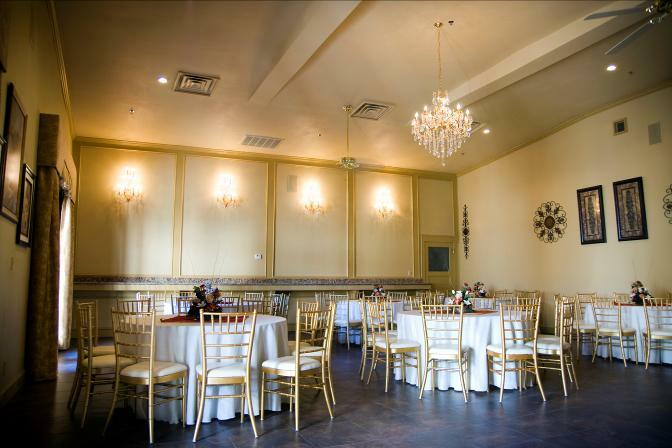 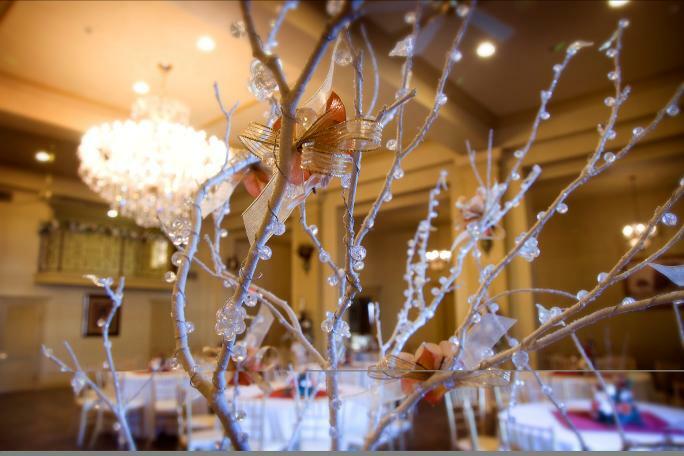 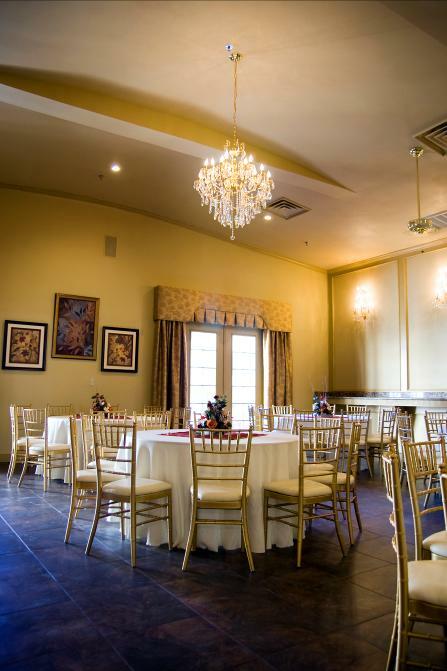 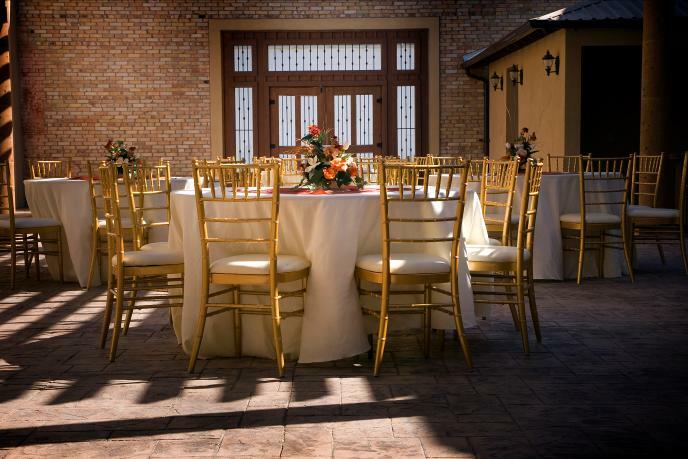 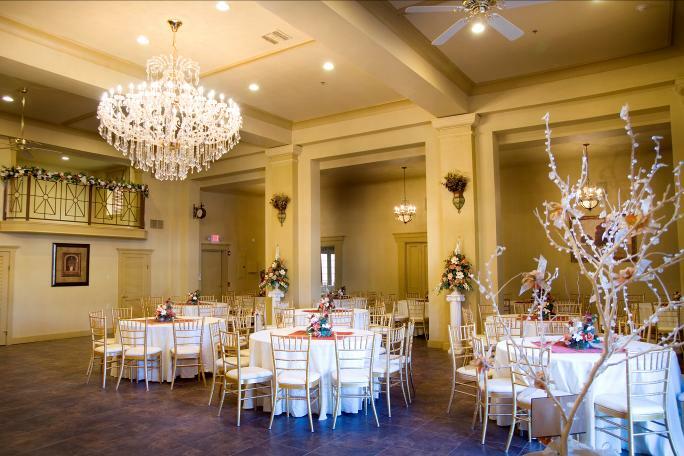 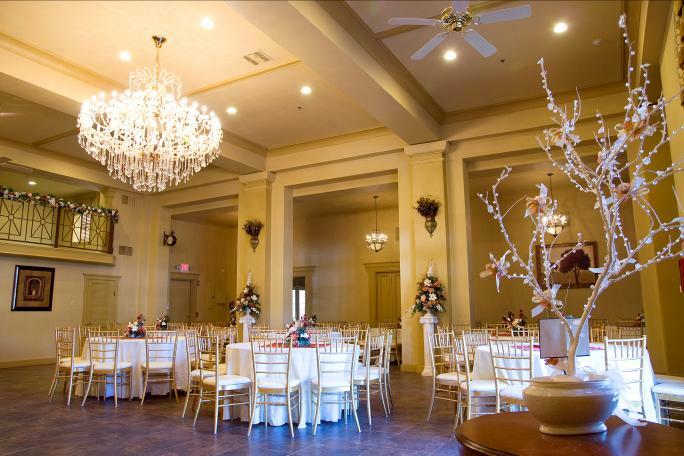 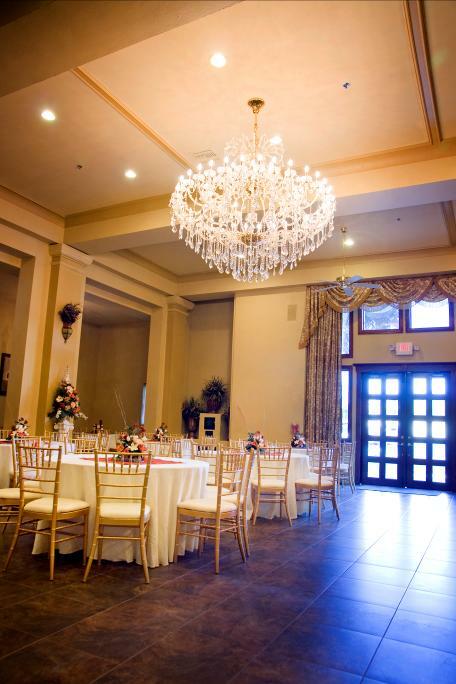 The First National Ballroom can comfortably accommodate over 300 guests. 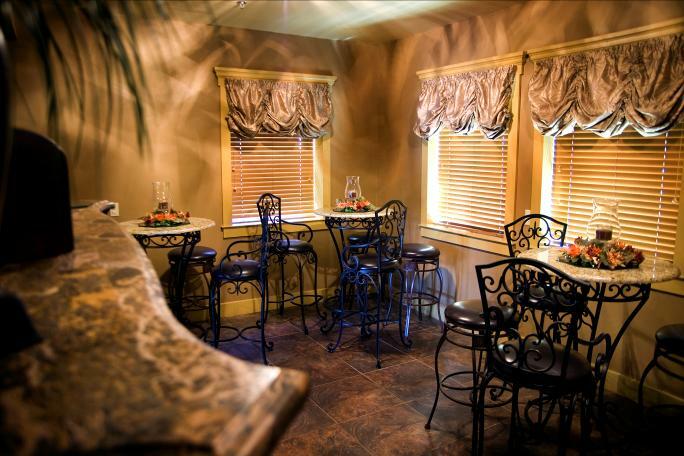 The Pub Room provides a warm atmosphere that is sure to become a popular lounge area. 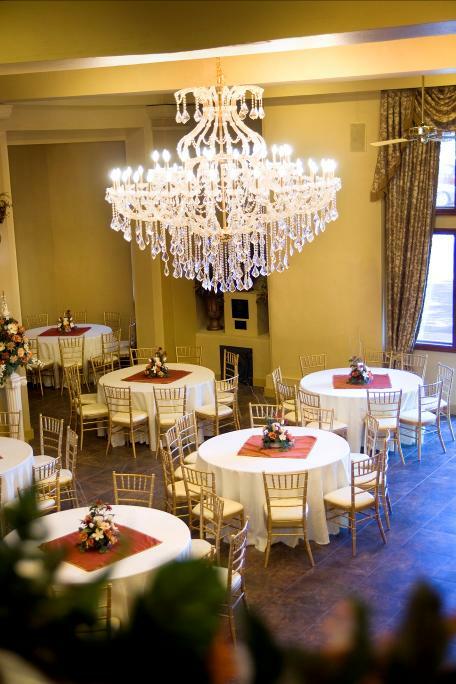 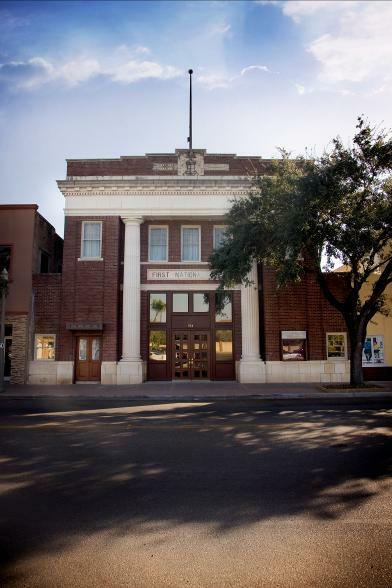 The room features an ornate Italian Fireplace, granite topped pub tables and displays the original First National Bank’s vault door. 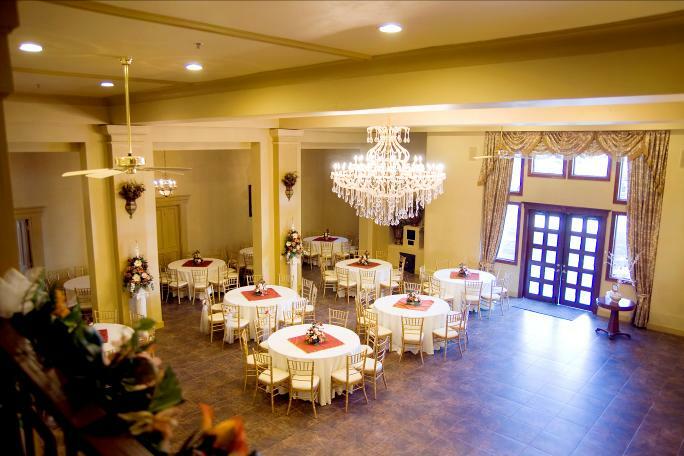 Upstairs you will find the Stage Room. 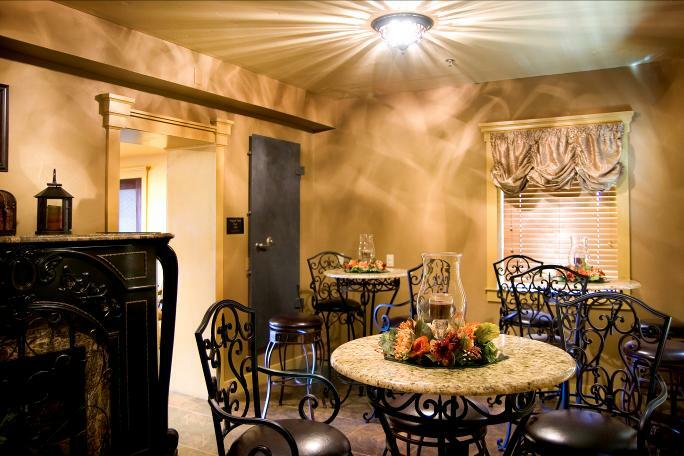 It has been designed with musicians in mind offering ample power outlets for a band. 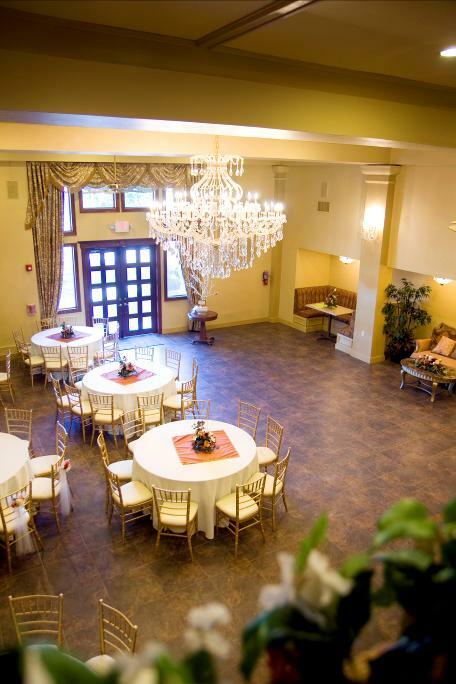 The Stage Room location is ideal for highlighting the night’s entertainment without occupying valuable floor space. 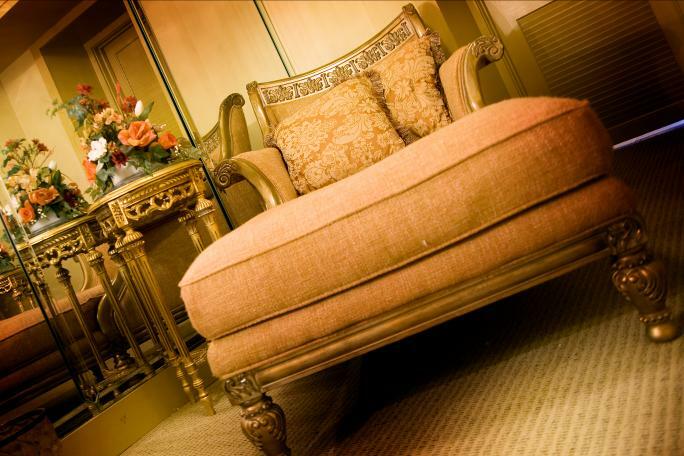 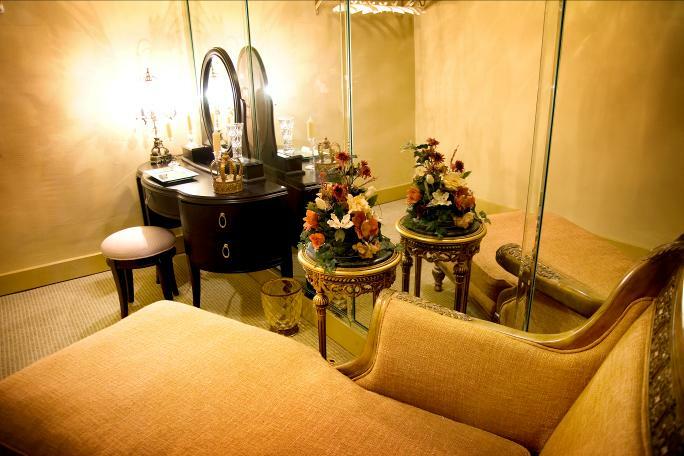 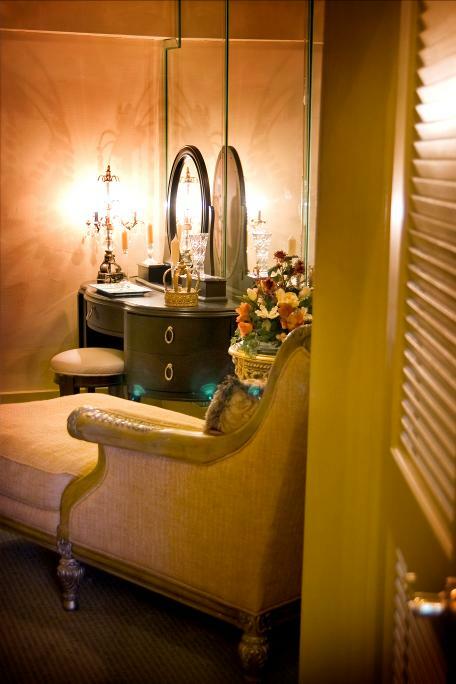 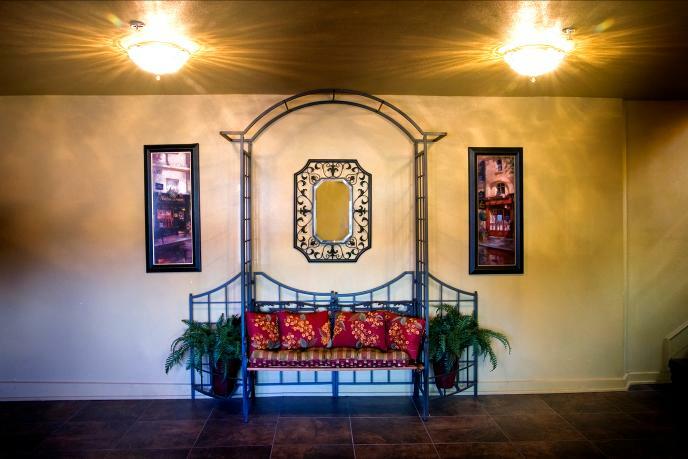 The Bride’s Room is furnished with an elegant vanity, floor-to-ceiling beveled mirrors and a luxuriously upholstered chaise lounge chair for the distinguished bride. 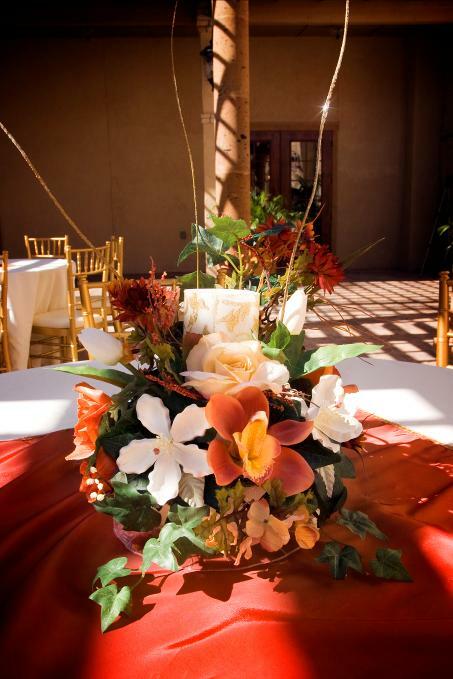 Found in the center of the Main Ballroom is this breathtaking 7ft. 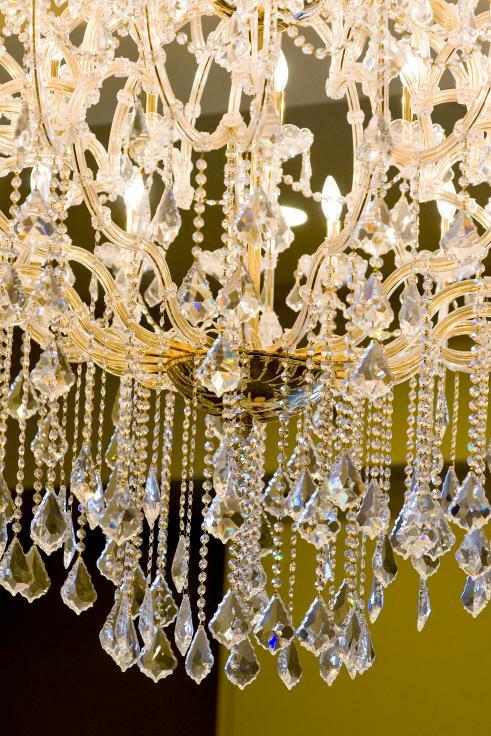 tall and 6 ft. wide Swarovski Crystal chandelier that is sure to make any event spectacular. 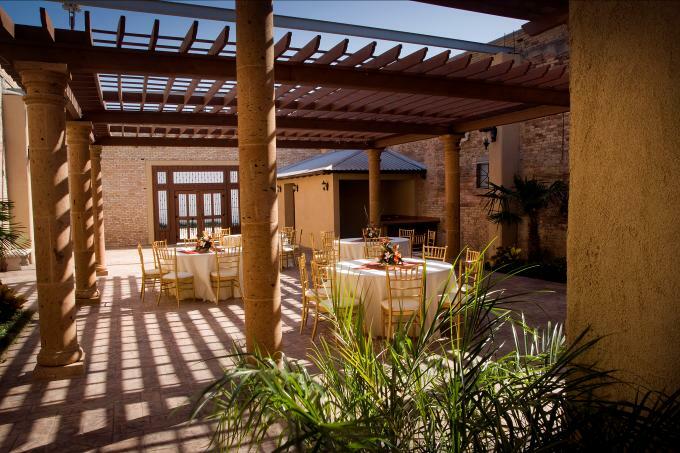 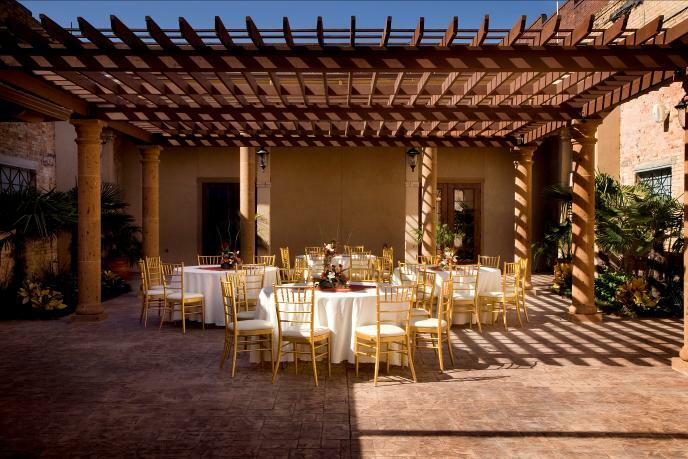 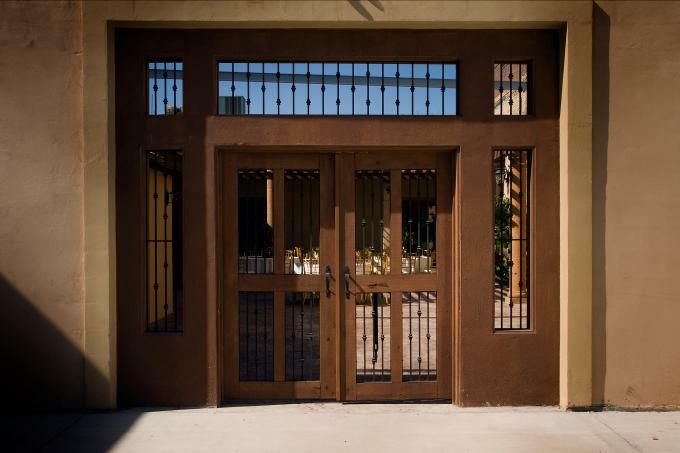 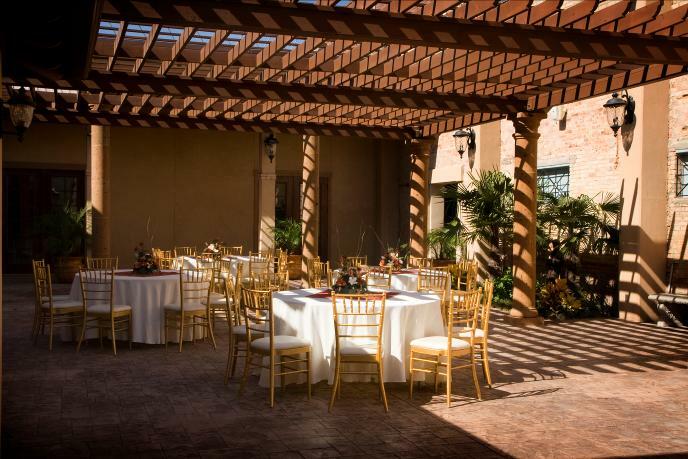 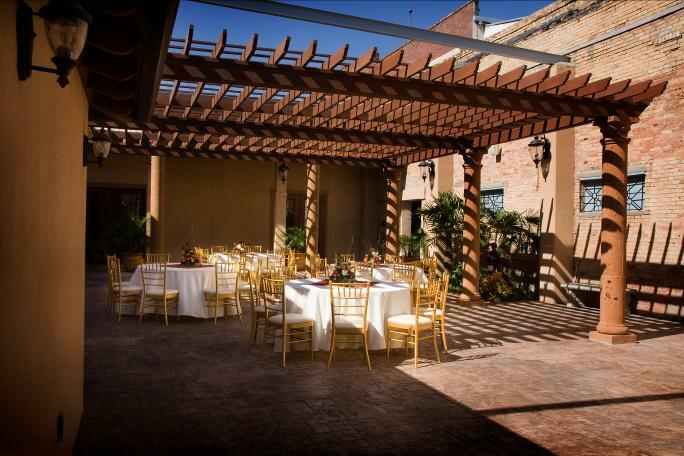 Our tranquil Courtyard is surrounded by a lush tropical landscape with the ambiance and space needed to accommodate elegant outdoor parties and ceremonies.